We’re big believers in the power of nature, and when it comes to powerful compounds, there are few that compare to Cannabidiol (CBD). Organic coming soon! At Barlean’s, our family has been making healthy oils for nearly 30 years. 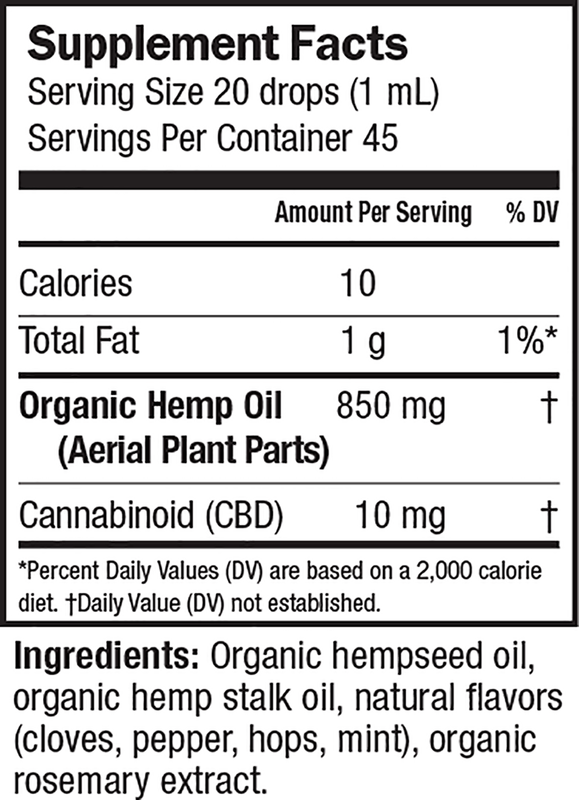 We’re big believers in the power of nature, and when it comes to powerful compounds, there are few that compare to Cannabidiol (CBD). 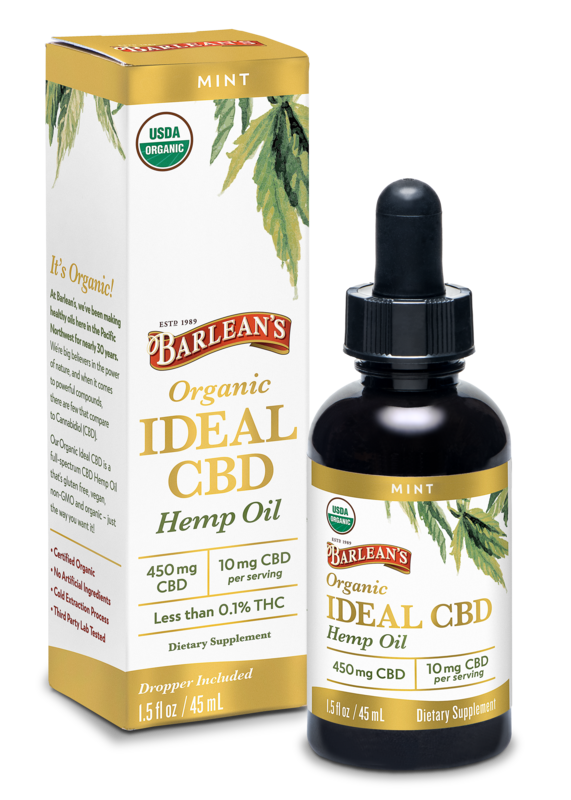 Our Organic Ideal CBD is a full-spectrum CBD Hemp Oil that’s gluten free, vegan, non-GMO and organic—just the way you want it! Want to see our responses to some of the most commonly asked questions. 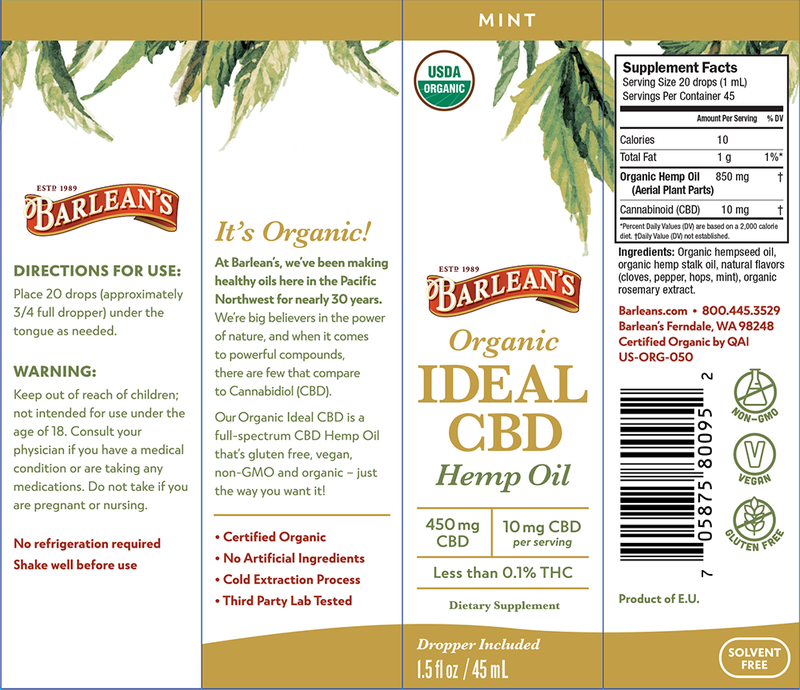 Check out our CBD FAQ page.